Professor Munasinghe is a historical anthropologist working in the Caribbean (Trinidad) and the Asian Diaspora in the Americas. Her initial research focused on the relation between ethnicity and nationalism and the politics of exclusion in nation building projects. 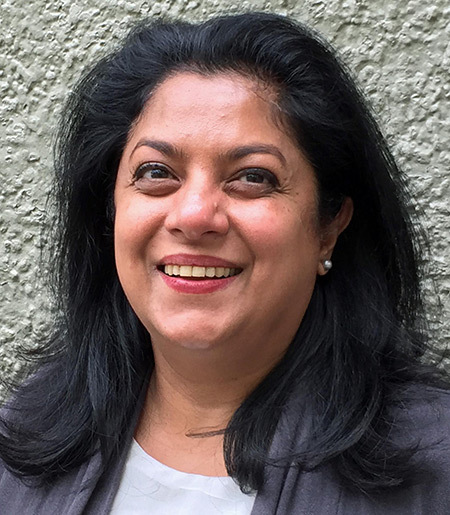 Professor Munasinghe's research specifically focuses on Indo Caribbeans who were brought as indentured labor to the New World when slavery was abolished in the British Caribbean. The New World context of the Caribbean allow for intriguing formulations of modernity and nationalism. She is particularly interested in a comparative understanding of how narratives of mixture, like creolization or multiculturalism operate to exclude citizens from the nation despite their overt promise of inclusion. Theoretically, she is also interested in epistemological issues having to do with the articulation of certain "theoretical concepts" like race, ethnicity and nation with their lay and political discursive forms and the implications of such entanglements for disciplines, theory and politics. Her current research explores how nations are constituted through projects of comparison in different empirical settings that include the Americas and Asia. Please email ek61@cornell.edu if you need accommodations in order to attend this event.